The seven works on this portrait album cover a span of twelve years. Collaborating with ensemble proton bern has allowed the composer to pursue the exploration of rare instruments that he began in 2003, notably in the area of winds, of which he is a fine connoisseur. In 2010 Martin Bliggenstorfer, ensemble proton bern’s oboist, heard about PHP (originally written for heckelphone) and offered to premiere it the following year on a lupophone, a newly-invented model of bass oboe. 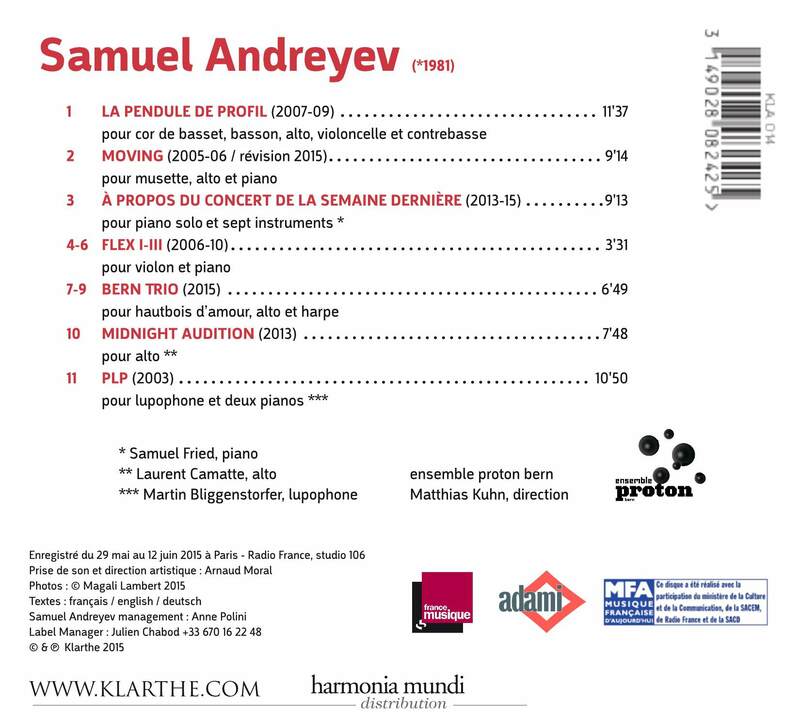 Stimulated by the pioneering work and unusually intense engagement of ensemble proton bern, Samuel Andreyev wrote Vérifications for the ensemble in 2012 — one of the most unusual works of his catalog, from an instrumental point of view. Andreyev considers the instrument, and its specific timbre, as the main material of his writing: “its unique characteristics, its history, and the ways in which it can be combined with others, provide an essential starting point for my reflexions”, he says. Thus, the form of the work — as in Varèse — becomes the result of this process: “I discover my pieces as I write them”, the composer tells us. His desire to make us hear timbres in the singularity of their most minute fluctuations has led Samuel Andreyev to an approach that he describes as a ‘phenomenology of sound’. 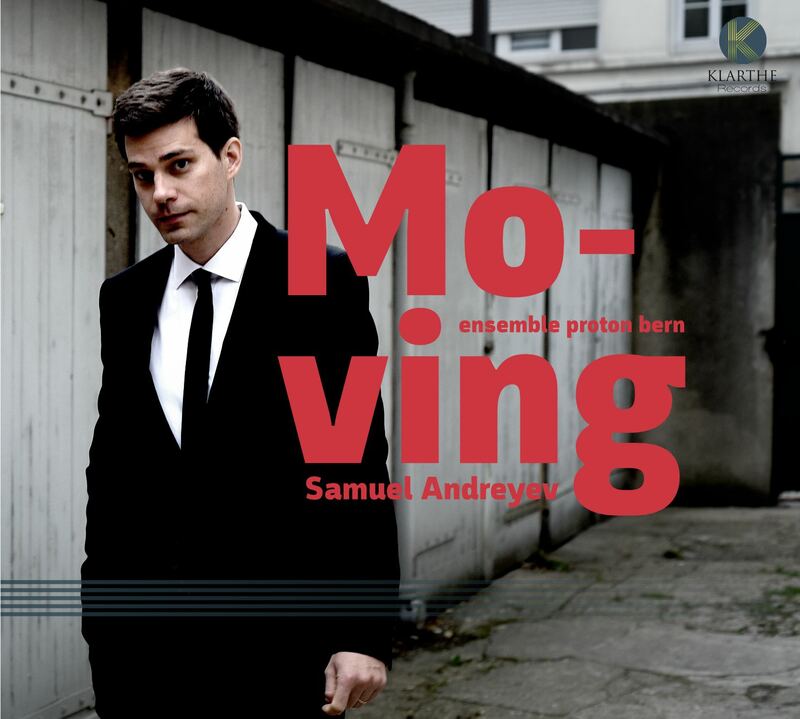 This physical connection to sound, which the composer communicates via an intense and immediate listening experience, has led him to avoid anything that could delay or get in the way of perception.